In today's tough economic times, many use any resources available to find jobs including job fairs. My Congressman, John Kline (R) sponsored one such fair at Inver Grove Community College this week. It had good attendance (lots of out-of-work folks) but as the guys in suits said on their way out, all the positions were lower paying entry jobs so they dressed up for nothing. 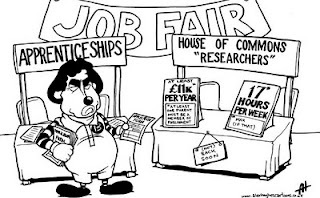 The jobs offered through job fairs need to have sustainable wages with benefits...most of those at Kline's sponsored fair didn't and were designed toward entry level administration or manufacturing positions...not higher paying positions like engineers or programmers. I also don't think Rep. John Kline should be in the job fair market...but in the legislation market supporting the creation of living wage jobs. After all that's why he was elected! 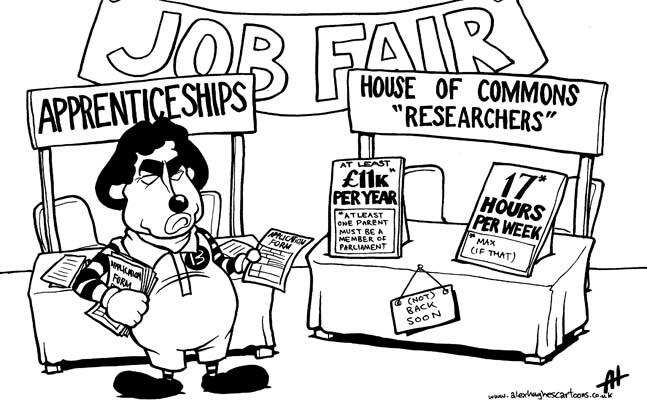 If Kline really wants to host job fairs, he should go to work for a marketing firm or a personnel service like Kelly's. The voters elected Kline hoping for more, you know, like possibly promoting legislation to create jobs as Rep. Tim Walz has done with the HIRE ACT. (sigh...which Kline voted against!) I'm left wondering what we can expect next...Will his next self promotion be Kline becoming a game show host? BTW, I noticed that you mentioned Kelly Services ... I believe they were scheduled to have a booth. How many job seekers do you guess will get a follow-up interview and actual job ? Did anyone ask about Kline's stance on extending unemployment benefits ? Did Kline consider workers that have been displaced and their skills and try to match companies so that jobs could actually be created ? OR were these companies that Kline considered his friends ? Bad news … apparently, Mr. Kline did not hear you as he issued a press release pledging “to hosting future career and jobs fairs.” BTW, I cited your entry on a commentary on MNPoliticalRoundtable. Entry levels jobs are what we need more of. No one strives to stay at a low level. If sufficiently motivated, and having the requisit ability anyone will evenutally be paid more, and have opportunity to advance. What do people expect, a great job right off the bat? In this global economy, it is not going to happen so easily. As less adavanced economies provide a place for us to export our inflation, the standard of living, as well as continued downward pressure on wages and benefit will persist. Another symptom of our inflationary monetary policy is higher prices. The minimum wage in 1964 was 1.25. The same 5 silver quarters at that time are worth over $25. If we maintained sound money that would be a solid 50,000 salary. Corporate Take Over of Minnesota? Oh Look! A Bright Shiney Object In CD2! BP And The MST3K Connection! OMG Just Kill Me Now! MN Tip #1: Don't Dine with Emmer!